UAVaid co-founder, Daniel Ronen, was honoured to have the recent opportunity to brief H.E. Mr. Mohamed Yahya Ould Sidi Haiba, Charge d’ Affaires of Mauritania to the UK. 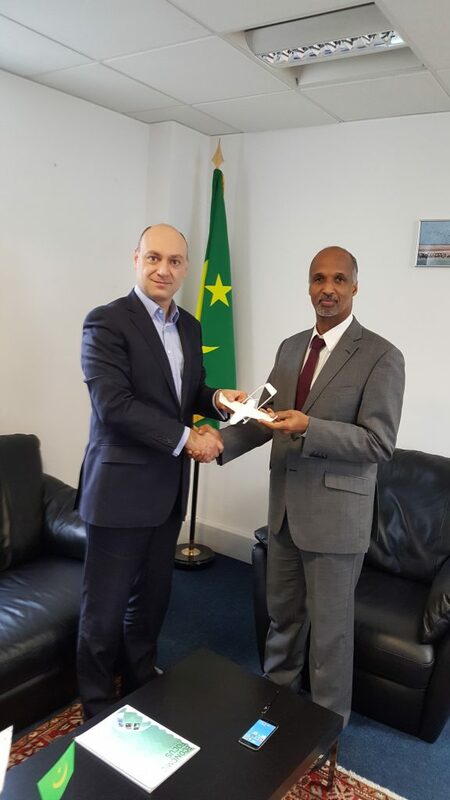 Meeting at the Mauritanian embassy in London, they discussed the opportunity for UAV technology to support the economic and security development of low and middle income countries in the developing world, and other matters of mutual interest. With Mauritania the poorest country in the Arab League, and positioned at the crossroads of several migration and cultural routes, the country faces numerous challenges. UAVaid co-founder, Daniel Ronen, meets with H.E. Mr. Mohamed Yahya Ould Sidi Haiba, Charge d’ Affaires of Mauritania to the UK, London Dec 2016.